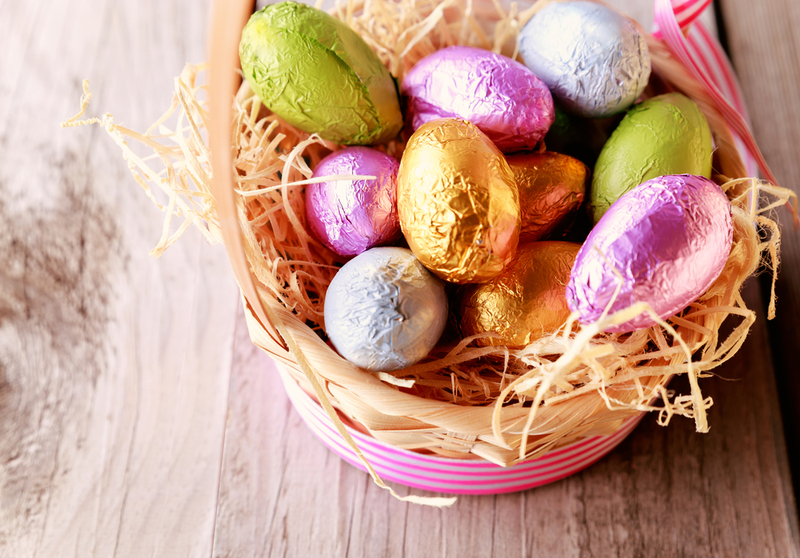 Spring is here and it's a great time to indulge in some fun and simple Easter treats for the entire family. You don't have to spent a lot of money or go to a lot of trouble. There are plenty of great springtime projects to make and do. Check out this fun little round-up and maybe you'll be inspired to get creative this season! Who better than Betty Crocker for a little inspiration...check out this adorable bunny salad made from pear halves. It's healthy and cute...and super simple to make. You might even have all the ingredients on hand. Check out this cute tutorial from the delightful blog Eighteen25. 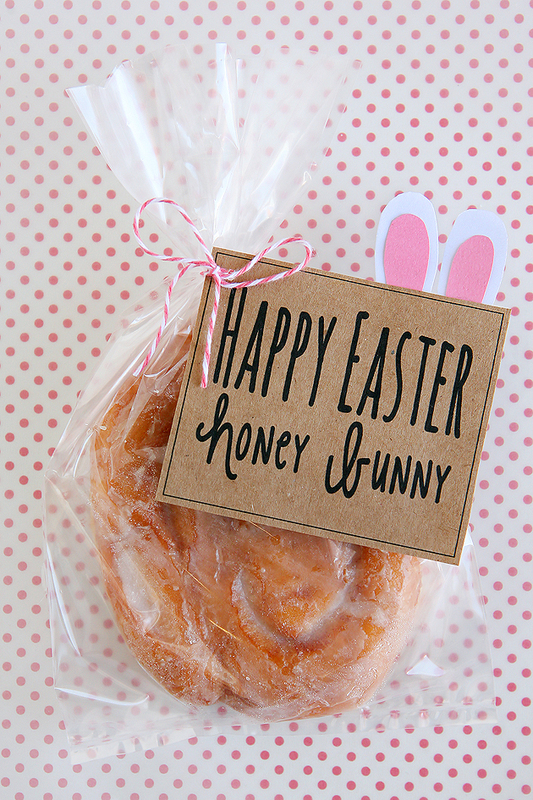 Using store-bought pre-packaged honey buns, you can add some colorful twine and a cute tag and voila, such a great little Easter goody. Tuck it into a school lunch or pop it in an Easter basket. I don't care how old I get, I'll never tire of good ol' glitter as a go-to for crafting. And those traditional plastic Easter eggs definitely lend a great surface for it. 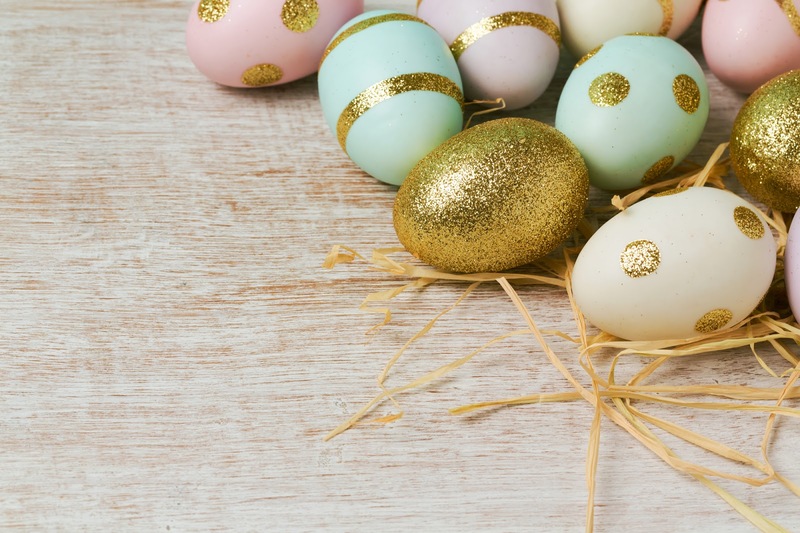 With some simple glue or mod podge, you can turn neon colored plastic eggs into something that looks sophisticated and fun. Everything is cuter on a miniature scale. I snagged some tiny straw baskets at a discount store and plan to use them as party favors holding small marzipan eggs at Easter. My local Aldi store had some great varieties of Easter candies and treats. Some of my other favorite places to shop for seasonal decorations and supplies include thrift shops like Salvation Army, Goodwill, etc as well as Dollar Tree/Dollar General. You can find some great options without spending much money. Happy spring & Happy Easter y'all!